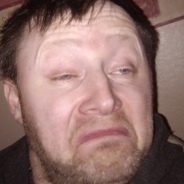 You chatting shite 'bout me, son? Reckon it’ll be close from Elgin up to Queen’s Park his though. 10. 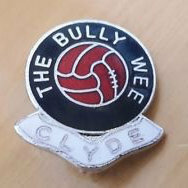 Clyde - Overspending and rotten to the core - enjoy the lowland league! Awww, a bitter wee Chapman sympathiser no doubt. And first post too; how cute! In any case you must have been as high as a kite whilst scripting this. Yet you seem to follow it just enough to review its threads and then submit a lengthy fledgling post upon one of them (about final positions too no less) whilst self proclaiming to not know much about the league. A rather pointless exercise, no? Clyde to earn the most points but not to get promoted as the SFL will discredit any contribution by Goodwillie. So Peterhead to win the league despite being runners up. You Only Live Twice slowly losing his head before the league seasons even started. Beautiful. Nobody is losing their head here cupcake so don't get over excited now. You just mind and focus on being more than a mid-table mediocrity this season, there's a good lad. You’re bubbling along nicely for a major heads gone. I personally cannot wait. What an utter tool I am. I’ll be honest, this was a guess with not a great deal of consideration so apologies to the fans of clubs who think they’ll do better than I predicted. I think it’ll be a tight league this year.